Florida’s 162,000 registered patients will soon be able to buy and medicate with Binske’s wide-ranging collection of cannabis chocolate, granola bars, fruit leather, honey, olive oil and even French-inspired Pâté de Fruit candies. TALLAHASSEE — The state's first and largest medical marijuana provider, Trulieve, signed an exclusive deal to bring high-end edible marijuana products to Florida, the company announced Wednesday. Binske, the Colorado-based company, began operations just two years ago, markets what they call a "commoditized high" through their top-shelf products. Florida's 162,000 registered patients will soon be able to buy and medicate with Binske's wide-ranging collection of cannabis chocolate, granola bars, fruit leather, honey, olive oil and even French-inspired Pâté de Fruit candies. Binske (with a silent "e," like "smoke") touts "farm-to-table products" that are made with premium artisan ingredients harvested from around the world. "The market in Florida is on the cusp of exploding," said Binske's founding CEO, Jacob Pasternack. "We are here to help light the fuse." Before Binske products can hit the shelves though, the state's Office of Medical Marijuana Use must approve it. There's no guarantee the regulatory office will approve the products, nor is there an estimated timeline. Edible products, while permitted by state law, are not yet available in Florida because regulations have not been finalized by the Department of Health. Trulieve, which operates 14 dispensaries around the state, was the first medical marijuana provider to start up after the 2016 vote. The Tallahassee-based company has continued to grow since, most recently acquiring three other medical marijuana companies, including one in Canada, where it is traded publicly on the Canadian Securities Exchange. As of December, there are 83 medical cannabis dispensaries in the state, spread across a 14 active licenses. Trulieve runs 23 of those and, according to the state's Department of Health, sells more than two-thirds of medical cannabis sold in the state. In addition to the dispensaries across the state, the company also deploys 60 vehicles to make home deliveries. The partnership with Banske isn't the first time Trulieve has teamed up with high-end companies from out of state. 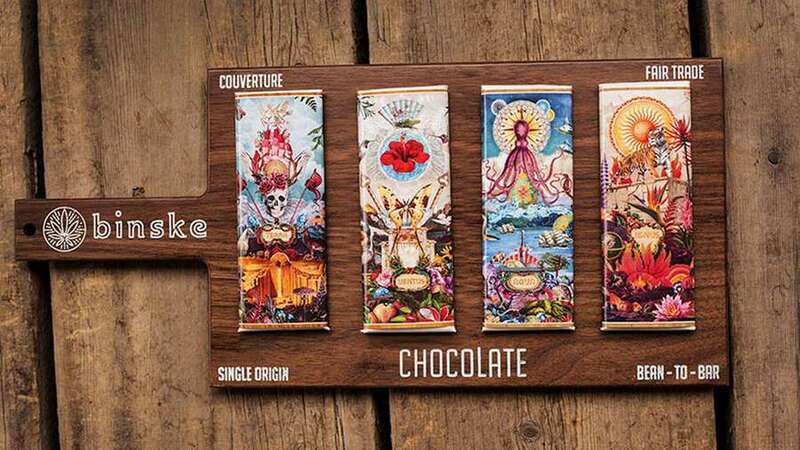 In September, the provider announced a partnership with Bhang, a California-based cannabis chocolate bar company. "When we look for partnerships, our focus is on bringing products to patients that provide relief in a safe, reliable manner," Trulieve CEO Kim Rivers said. "Binske shares Trulieve's dedication to the patients first, focused on creating products that are high quality, consistent, and effective." Agriculture Commissioner-elect Nicole "Nikki" Fried, a former medical marijuana lobbyist, said her team is "ready to implement edibles rules" to help bring more access to patients across the state. "As the number of medical marijuana patients in Florida rises, we look forward to help bring diverse products to provide our patients with the medicine they need," she said.